Ideally one is always asked to stay happy and positive to lead a fulfilling life, but is it easy to do so? Can one be perennially happy or sad? Definitely not! But these feelings or emotions, whatever you prefer to call them, are extremes. Sometimes one is just drowned in sorrow not knowing about their ability to swim and thus deprived of any other emotions to overcome and outpower sorrow. Are we humans capable enough to see through the sorrow behind the artificial smiles or are we just fascinated with the idea of artificial intelligence that simply doesn't understand and interpret emotions? Such is life? What are your thoughts about the whirlwind of sorrow? Do share them in the comments below. I recently read a book or as the author, Siddharth Dasgupta, would call it, a collection of lives titled The Sacred Sorrow Of Sparrows. This is Siddharth Dasgupta's second book, which is a collection of ten short stories that revolve around the existence of sorrows in human life across various parts of the world, people miles apart, vividly distinct, yet find a common in the form of sorrow and other emotions. 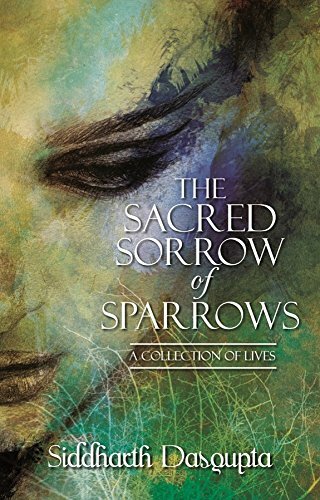 Through these ten stories and ten protagonists, the book The Sacred Sorrow Of Sparrows, conveys and asks you one question which is, can sorrows be beautiful? As you continue reading throughout, you will find the answer. These stories, uncommon yet share a pain, are of love and longing, loss and emotional debts, fear and angst, chance and hope. These stories in themselves are correlative of time and emotional travel, they represent the nadirs and the zenith of human expectations and emotions, connections, relationships, ache, guilt, affection, passion in the form of sorrow coveting it as sacred every single time in every single story. The short story, 'The Baker from Kabul' from The Sacred Sorrow Of Sparrows is my personal favorite from the lot. The minute detailings of people and the surroundings makes you feel a part of the story, the characters that will stay with you forever. A collection of emotions and a collection of existence is how you can rephrase this collection of lives, the stories are disbelief in commotion, making sorrows sound like poetry. The different humans with distinct ideologies undergoing contrasting shades of sadness, but none of them express, why? When the circumstances change, can love prevail? Can sorrow win? Can sorrows be of different forms? Can sorrows be strange but elegant? Sad yet comforting? Evident yet magical? These questions and many more answered through the stories and are at your disposal as a reader. 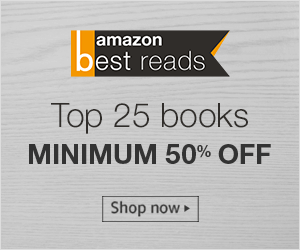 I would recommend, The Sacred Sorrow Of Sparrows, a 253 page long book to anyone interested in reading fictional short stories with a refreshing viewpoint.